When it comes to doing macro photography, the choice of lens you use matters a lot. The lens must be able to magnify the subject without distorting details. Even though macro lenses are extremely expensive, they are worth the investment especially if you plan on pursuing macro photography professionally. If you are working with living subjects, you are better off with a lens that allows longer focal length. This allows you to take your photos without scaring your subjects and prompting them to flee. You should also master the skill of patience to avoid moving around too much before getting your perfect shot. This is necessary when you are photographing inanimate objects such as a drop of water, a speck of dust or such items. An interesting or contrasting background gives prominence to your subject and makes it worth looking at. Contrary to popular belief, not all tiny items make good subjects for macro photography. Before you focus your lens on an item, ask yourself if people who are looking at it will immediately guess what it is. Living things tend to make better subjects for macro photography, but that does not mean that the field is restricted to living organisms. Photography is basically playing with light. When it comes to macro photography, lighting also helps to aesthetically improve a photo and make the features more pronounced. Remember that you are working with minute items and if the lighting is not good enough, people may not be able to figure out what your subject is. Although technology allows you to crop photos and make images tighter, it is often advisable to get the composition right at the onset. Proper framing allows you to identify what you will focus on, the kind of background you will have, and basically the kind of shot you intend to capture in the long run. 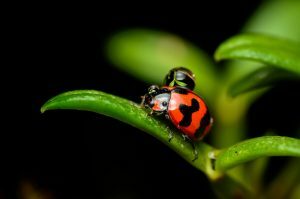 A good macro-photographer should know how to set the camera in a way that they have the best composition.